French style cidre. Dry, rich fruit aroma, plus a little funky. Comes in a 375 ml champagne bottle, and has a heavy sediment. Amber-coloured and cloudy, this has a pungent, yeasty aroma, with strong oak tones, and some autumnal funk. The flavour is apple sauce, with a farmyard character underlying, and the aftertaste has complex, woody tannins, and becomes drier as the fruit fades. 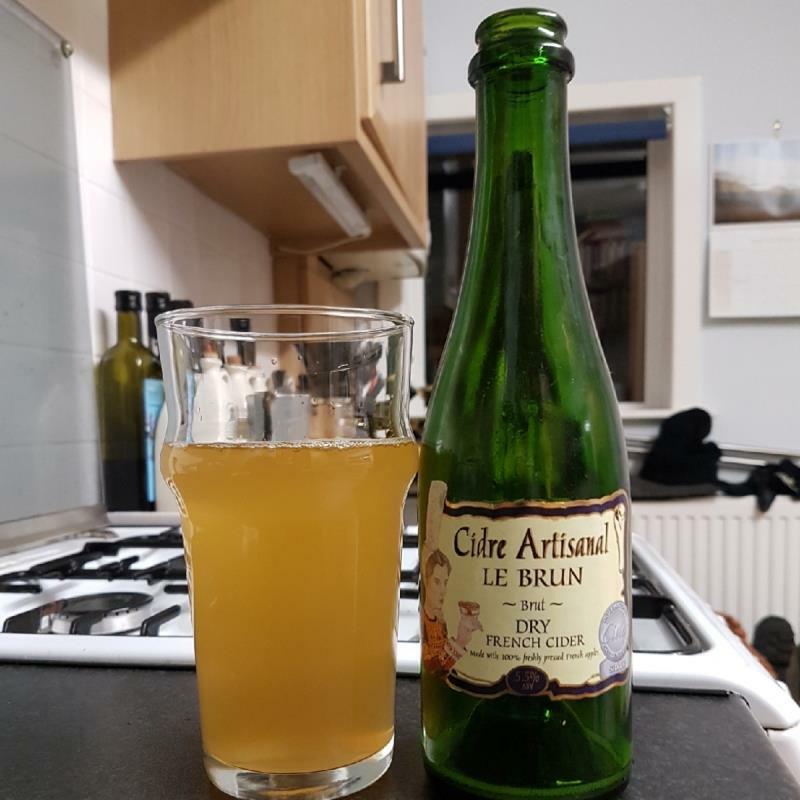 This is what I expect of a Breton farmhouse cider; earthy, oaky, and complex. The carbonation was quick to fade.